Hello again :D today I have CG's Cling On, one of their new magnetic polishes. I only picked this one up as it seemed at first glance this was the only one I wouldn't have a dupe for. I also got the magnet. 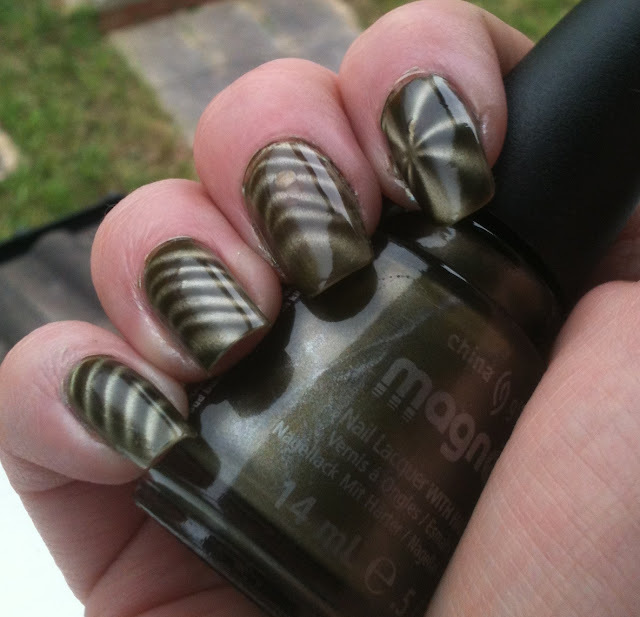 Cling On is a light olive green. 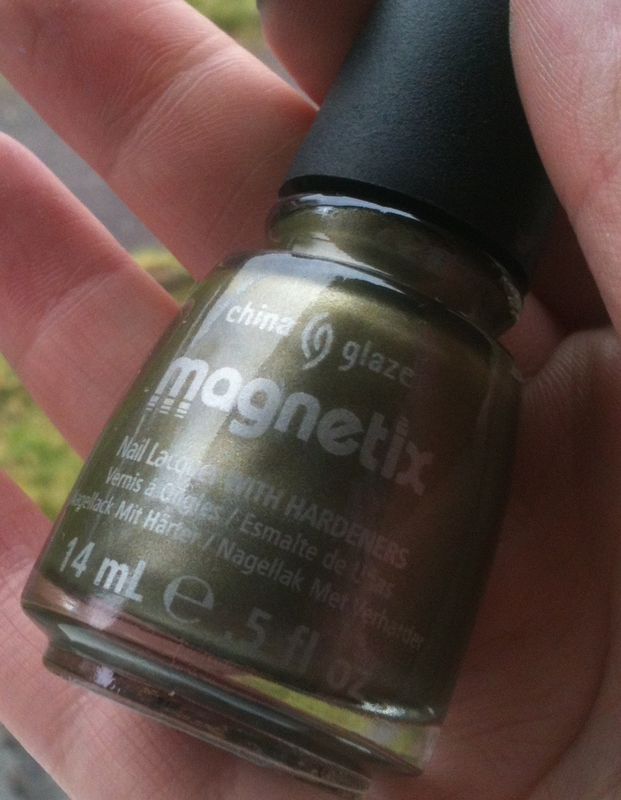 This was sheer at one coat, I doubt you'd be able to just apply one coat and then use the magnet. 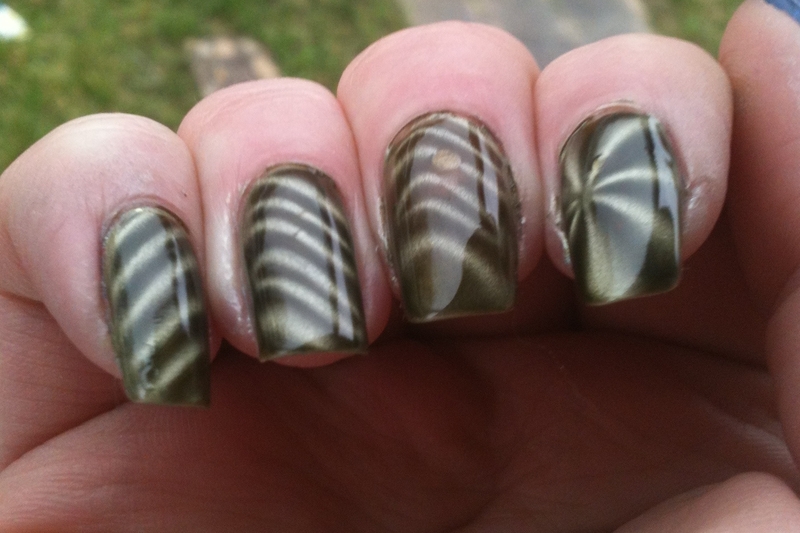 I have a habit of using two coats with all magnetic polishes anyway, one coat to get the colour down and the second for the pattern. I should point out that I used the CG magnet with this polish. 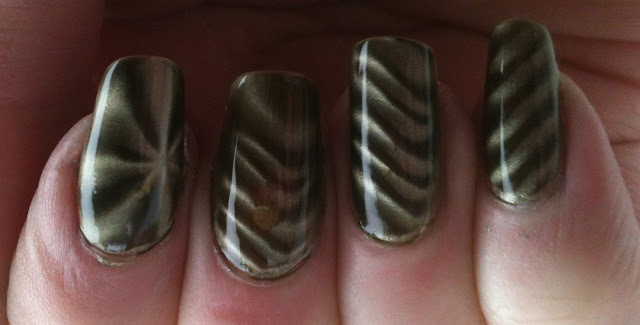 I have the star design on my index finger, the "chevron" on my middle and ring fingers, and the diagonal stripe on my pinky. 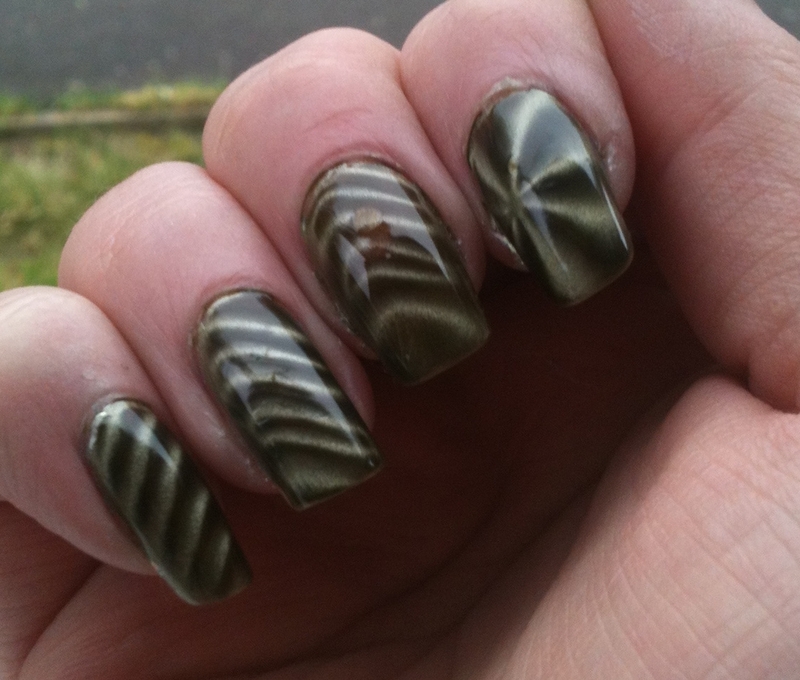 At first I thought the chevron magnet wasn't working as it should, turns out it's how I'm positioning my nail under the magnet, for whatever reason I can't get it in the middle, hence the pattern is off. After three goes I just gave up haha. 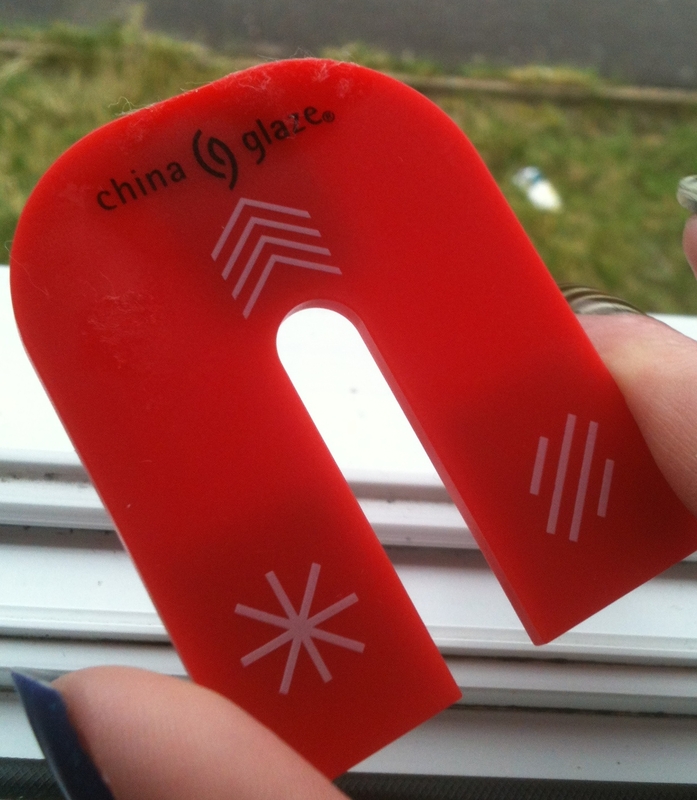 I love the star design on the magnet though, I'll probably be using that from now on with all my magnetic polishes!